What’s Causing My Back Spasms? Are you experiencing back spasms and don’t know why? Your back spasms could be caused by strains from a simple activity, or it could be a sign of a more serious issue. If you have been suffering from back spasms, do not ignore the pain. Contact our chiropractor near Nesconset for professional medical input. A back spasm can be defined as a sudden, involuntary contraction of the muscles in the back that occurs near the spinal cord. Your back will normally contract involuntarily as a reaction to a strain or overuse of a muscle that can be related to an injury or a more serious disorder. 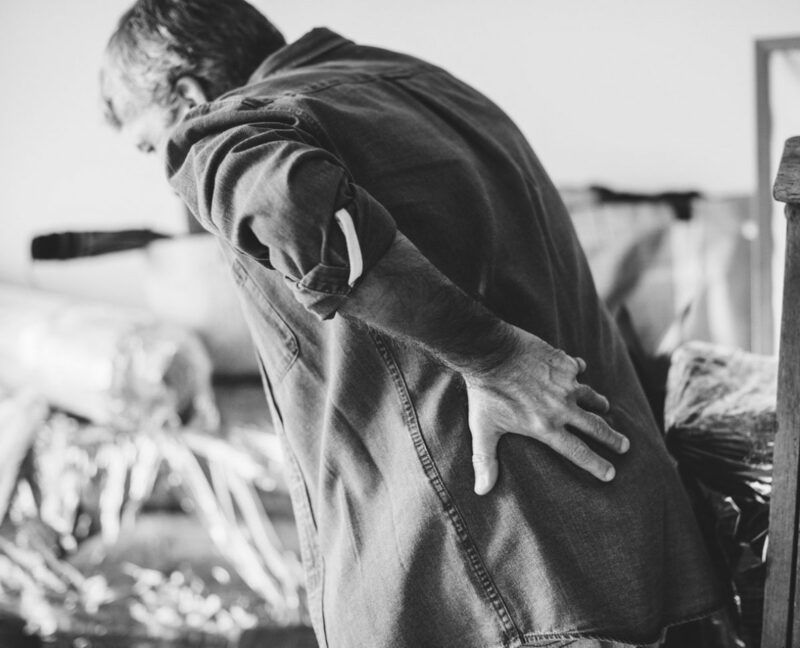 Back spasms can be caused by a non-threatening injury that can result from heavy-lifting, strenuous exercise, and/or intense sporting activities. Sports that require the back to twist suddenly such as football or golf can cause back spasms. Arthritis – May put pressure on the spinal cord causing pain. Herniated, ruptured, or bulging disc – May press against nerves in the back causing pain and spasms. Spinal stenosis – Compression of the spinal cord due to narrowing of the spinal cord or openings in which nerves cause pressure. Your chiropractor near Nesconset can help to diagnose your back spasms and provide you with an appropriate treatment plan. If your back spasm is caused by a less serious issue such as lifting a heavy object, heat and ice can help to reduce pain and inflammation. If you are experiencing a more severe back condition that is causing your back spasms, chiropractic care can be an effective treatment option. Chiropractic care can realign vertebrae in the spine and remove nerve interference to eliminate back pain, inflammation, and spasms. Don’t suffer any further from back spasms. Dr. Semente can assist you in recovering from uncomfortable spasms and help you to prevent them from reoccurring in the future. Acupuncture is an effective treatment method that has many health benefits. Acupuncture involves inserting small needles into the skin to stimulate nerve pathways of the body. This procedure can relieve a variety of health conditions such as anxiety, depression, migraines, nausea, insomnia, and chronic pain. If you are suffering from one of these conditions, see how our acupuncture in St. James can help. The placement of the acupuncture needles can determine the impact on the body’s nervous system. The needles cause the nervous system to produce natural painkilling chemicals like serotonin. Acupuncture can also positively stimulate the part of the brain that controls your emotions. This, in turn, can help to reduce anxiety and/or depression without the intake of drugs. It has been shown that chronic pain can be treated effectively with acupuncture. This chronic pain usually stems from neck pain, back pain, knee pain, and/or migraine pain. One theory suggests that the acupuncture needles release positive neurotransmitters such as endorphins and serotonin. 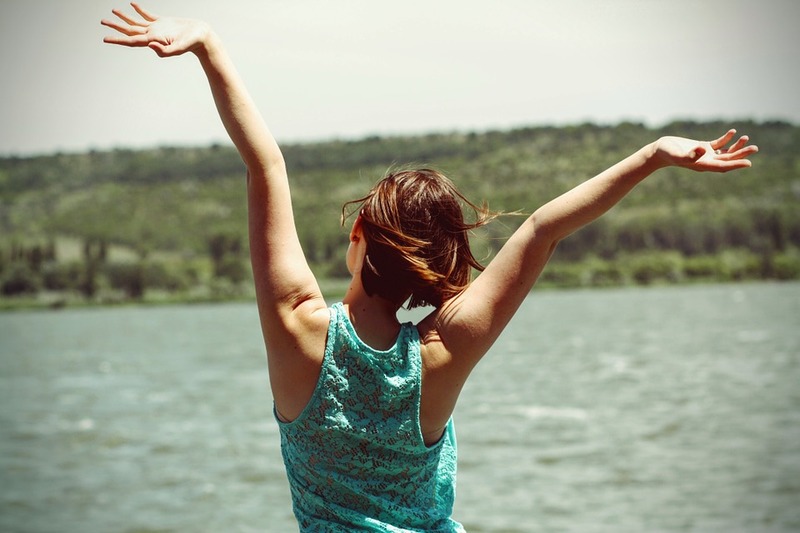 These positive neurotransmitters alter the way the brain receives pain. Acupuncture can be a great alternative to those coping with chronic pain and to those who want to avoid surgery. If you suffer from common types of chronic pain, seek our acupuncture in St. James to relieve your discomfort. Acupuncture can be beneficial to those who suffer from nausea and vomiting. Nausea and vomiting can be caused by a variety of factors including migraines, allergies, pregnancy, and/or the effects of treatments for cancer such as chemotherapy. If you suffer from nausea due to one of these factors, acupuncture can help treat or prevent your symptoms. Each acupuncture treatment will differ based on each individual’s case. The needles are sometimes inserted into the lower arm and wrist area to relieve nausea. Acupuncture has been shown to reduce the frequency of insomnia symptoms. This is achieved when acupuncture needles increase the production of a chemical that induces sleep, called nocturnal melatonin. Unlike most sleep medications, acupuncture comes with little to no side effects or risks. If you are suffering from any of the listed conditions above, reach out to our office and try acupuncture in St. James today. We will help decide which treatment plan will benefit you and relieve your symptoms. How Can I Treat My Chronic Migraines? Migraines can bring people immense pain and discomfort. In addition, a migraine can hold you back from enjoying life or working at your job. If you are regularly experiencing migraines 15 or more days out of the month, you should see our chiropractor near Smithtown, Dr. Semente, to help deal with your chronic migraines. Whatever the case may be, you do not have to live with chronic migraines, and there are ways to get rid of it. Instead of medication, chiropractic care has been used as a way for people to treat their migraine symptoms. If you are looking to alleviate your constant migraines, our chiropractor near Smithtown is the answer you are searching for. Spinal manipulation – this involves using different treatment techniques like joint manipulation, massages, and exercise. With a combination of these techniques, inflammation is diminished as well as joint and nerve function. This will release any built-in pressure you’re feeling in your body. Neuromuscular massages – this isn’t your typical massage; this massage targets trigger points found throughout your head, neck, back, and shoulders. Neuromuscular massages ease tension in the muscles and nerves that lead to pain in these areas, and it also restores the blood flow. Low-load craniocervical mobilization – Unlike spinal manipulation, this technique focuses on softer forces used in a rhythmic movement on the cervical areas. Stretching is a big part of this technique as well. If you feel that medication doesn’t help with your chronic migraines, chiropractic care can be your solution! Next time you are feeling pain from a migraine, do not hesitate to contact our chiropractor near Smithtown to fight off your chronic migraines. If you’ve experienced pregnancy, then you understand the unfortunate conditions that can often come during these nine months. Commonly reported issues could include nausea, back pain, pelvic pain, and various other discomforts. Despite all this, you can undergo specific methods for helping to treat these chronic issues. One technique to consider is the benefits of acupuncture near Smithtown! 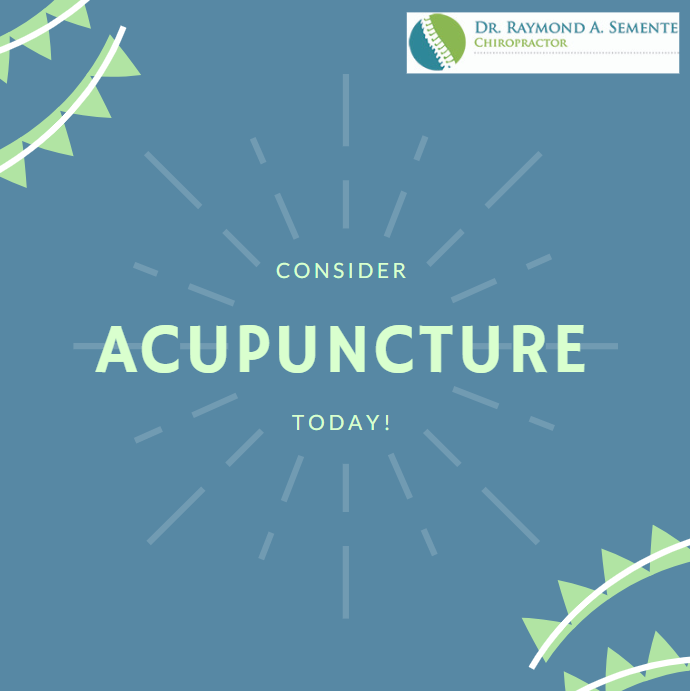 Should you consider pursuing acupuncture, head on over to Dr. Raymond Semente and see what treatment options he can offer to you. Morning sickness – Acupuncture has been known to reduce the side effects of morning sickness. By performing acupuncture on specific areas (such as the wrists), the chances of conditions such as nausea and vomiting can steadily be decreased. Lower back and pelvic pain – One of the most common conditions treated with the help of acupuncture is pain stemming from the lower half of the body. Acupuncture can help ease the pain in these areas, giving you relief when you need it the most. Sleep problems – Suppressing your anxiety is often cited as one of the ideal benefits of pursuing acupuncture. This helps in improving your sleeping patterns, and it can even provide you with a sufficient energy boost. Acupuncture can ease your muscles, while at the same time improve the chances of the embryo embedding itself. Blood flow to and from the ovaries and uterus are improved. One common cause of infertility is polycystic ovary syndrome. Acupuncture has been known to help combat this complication. Whether you need help during pregnancy or support to get pregnant, acupuncture is capable of assisting. Acupuncture near Smithtown can help you during your time of need and give you the relief you’ve been looking for! 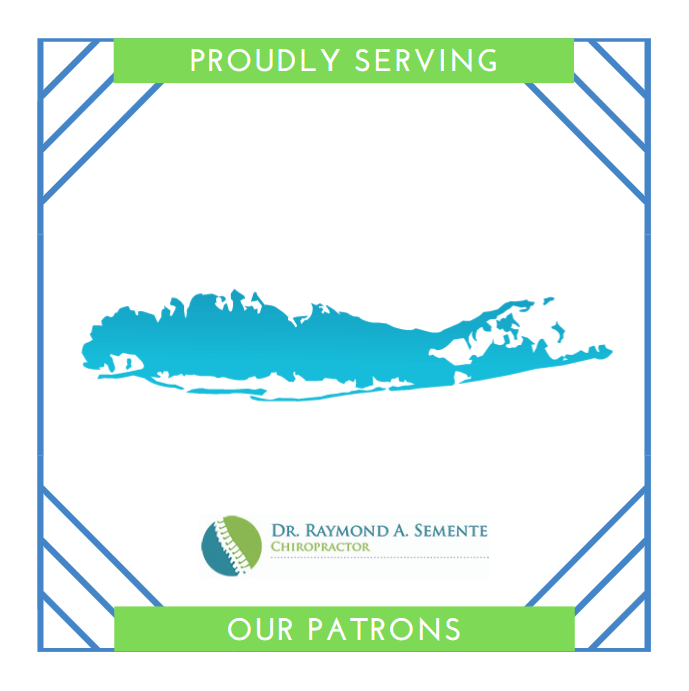 Contact Dr. Semente’s office today, and let us get you started on your treatment. 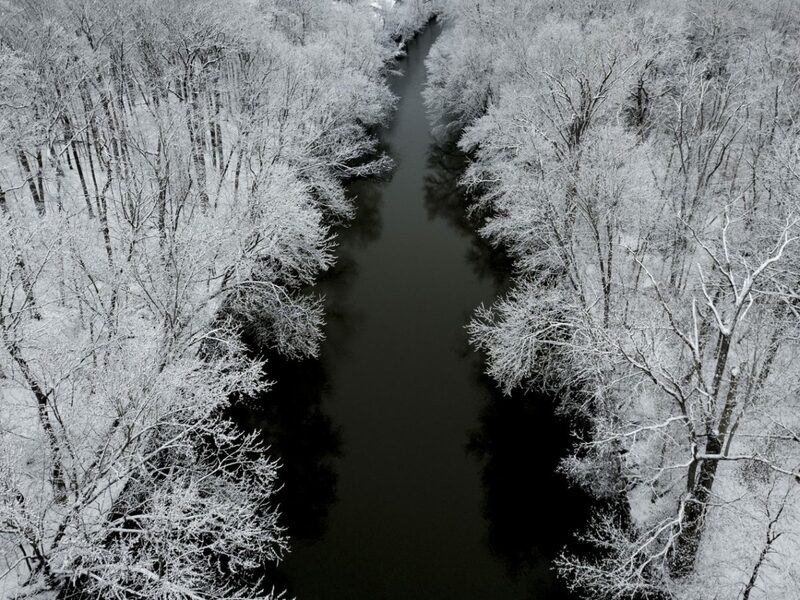 Colder weather can have some negative effects on our health. Whether it’s the physical or mental aspects that the cold temperatures pose, it’s important to take the preventative steps necessary to avoid injury and any debilitating conditions. Our chiropractor near Smithtown can give you the necessary care and attention you need! Arthritis is a joint disorder that refers to the inflammation of the joints. It can either affect one joint or multiple joints. A joint is described as an area within the body where two different bones connect. A joint enables the movement to the body parts connected by its bones. Therefore, inflammation of the joints can cause swelling, discomfort, inflexibility, and a decreased range of motion. Arthritis is also extremely common. Currently, there are approximately 50 million adults and 300,000 kids that suffer from some type of arthritis. There about 100 different types of arthritis identified and that number is still growing. We understand that living with arthritis can make life difficult, which is why Dr. Semente, our chiropractor near Smithtown and Nesconset, has the knowledge and skills to get you back to moving safely and comfortably, free of arthritis discomfort. Everyone experiences anxiety in some way or another, especially when it comes to being in a new or stressful situation. But, if you’re experiencing anxiety more frequently, or for an extended amount of time, then you may be suffering from an anxiety disorder. When you’re suffering from an anxiety disorder, you may have constant feelings of unpleasantness mixed with fear. While some people are able to work through these anxious thoughts, others can’t handle them as well. They may end up preventing themselves from doing everyday activities they enjoy. There are a variety of different anxiety disorders out there, such as post-traumatic stress disorder (PTSD), social anxiety disorder, obsessive-compulsive disorder (OCD), separation anxiety, and many more. There are treatment methods for anxiety, though. Most people tend to try different treatments depending on the severity of their anxiety. Most people only view psychotherapy or medications as ways to treat anxiety. Yet, there are alternative methods out there, like acupuncture. Fortunately, at Dr. Raymond A. Semente’s practice, his staff can administer the best acupuncture near Smithtown and is available to help you. Leg pain can exist in many forms. Leg pain can affect your life dramatically, as it can make a simple walk from point A to point B a major ordeal. Don’t let your leg pain stop you from doing the things you need to get done and the things you love to do. Chiropractic care is an effective treatment option for those who deal with leg pain. If you’re seeking a chiropractor near Smithtown and Nesconset, then don’t hesitate to contact Dr. Raymond Semente to help treat your various leg pains. Do you suffer from high blood pressure? If so, this is an issue that should be addressed sooner rather than later. 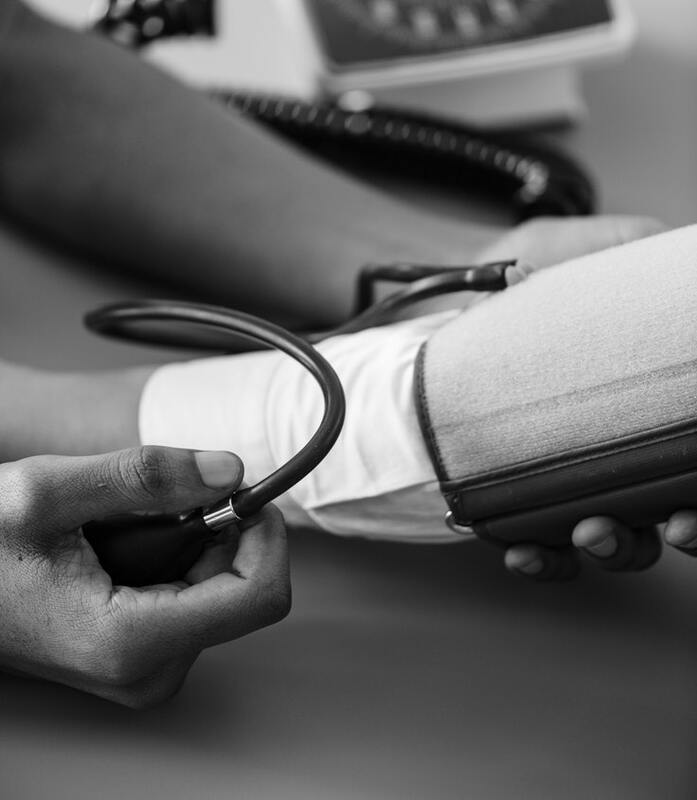 Chiropractic care offers a drug-free option for treating high blood pressure, and if you’re seeking a chiropractor near Nesconset, Dr. Raymond Semente can help treat you!. Massage therapy is an innovative and popular treatment option for treating a wide range of different conditions and injuries. Often considered an alternative form of medicine, massage therapy uses pressure and hand movements from the massage therapist to physically manipulate soft tissue. Muscles, tendons, and ligaments make up the body’s soft tissue. This manipulation produces several beneficial effects that alleviate pain, eliminate muscle tension, and reduce the patient’s stress and anxiety levels. Massage therapy has no severe side effects or risks, which makes it a great alternative to traditional treatments such as surgery and medication.